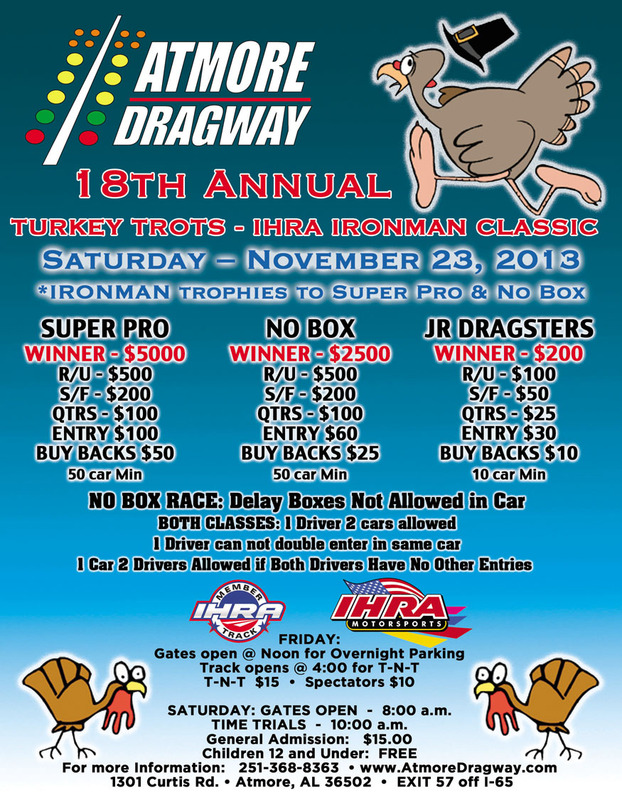 Atmore, AL - Saturday November 23rd Iron Man Trophies will be awarded to Super Pro and Pro winners of their classes. $5,000 to win in Super Pro, $2,500 to win in Pro. Junior Dragsters will also run for $200. 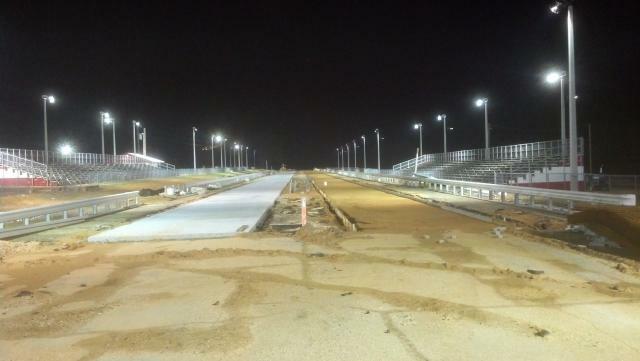 Atmore, AL - To date, improvements include full concrete racing surface, as well as, new asphalt on shut down, staging lanes, return and pit road areas. Extensive engineered facility lighting is in position, as well as, underground wiring for lighting, timing system, PA system and digital scoreboards has been installed. Norwalk, OH - With the recent signing of Atmore Dragway in Alabama and Hobbs Motorsports Park in New Mexico, the International Hot Rod Association (IHRA) is pleased to announce that it has set an IHRA sanctioning record with 105 tracks now a part of the IHRA member track family.